And so poet / educator / activist / translator Irma Pineda explains the difference between the Zapotec and Spanish “versions” of her poems. 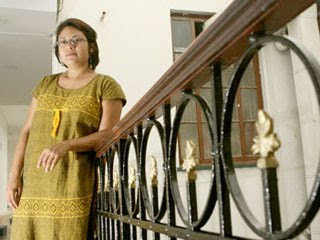 Poet Irma Pineda, photo courtesy of the poet. Born and raised in the city of Juchitán, where she still lives, Irma Pineda has been writing poems since childhood. 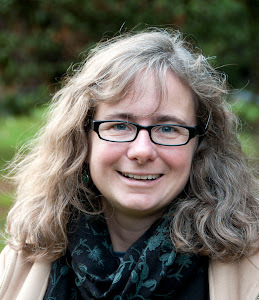 She now has five published collections of poems, one of which had a print run of more than ninety thousand copies. Juchitán is the only city in Mexico in which an indigenous language dominates – not just on the streets and in homes, but in the mayor’s office. Like eighty-five percent of Juchitán’s residents, Irma’s first language is Zapotec – a language whose literary history reaches back two thousand years. The Zapotecs were probably the first society to invent writing in the Americas -- long before the Maya. February 21 marked the UN's International Native / Mother Language Day. Linguists estimate that half of the languages currently spoken in the world will have fallen silent by 2100. It's a fact that fills me with panic, grief, and a urgent desire to spread Zapotec poetry far and wide. Irma Pineda creates her poems in Zapotec, then recreates “parallel poems" in Spanish.And then, I create a “parallel poem” in English. Learning that Irma considers the Spanish and Zapotec versions of her poems to be parallels, not translations, freed me as a translator. I’d made hesitant attempts at translating the work of Zapotec poets in years past, but stopped because I don’t know Zapotec and couldn’t read the original poem. Pineda’s process allows me to think of the Spanish version as a new original that stands on its own. 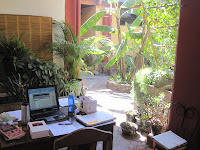 My office in Oaxaca, December 2010. I spent the month of December 2010 in Oaxaca, completing first-draft translations of forty of Irma’s poems. After I completed the translations, I spent four days with Irma in her home, reviewing my drafts. discerning colors that fill faces. held on the wall of fear. zanda gannu’ xhi dié’ lú binni. adivinar colores que llenan rostros. sostenida en la pared del miedo. This is the first poem that appears in Irma Pineda’s first collection of poetry, Ndaani’ Gueela’ (En el Vientre de La Noche), published by Casa de la Cultura de Juchitán, Mexico, in 2005. The poems in this collection were written by the poet with the support of a grant for indigenous writers from the Fondo Nacional para la Cultura y las Artes (Mexico’s National Endowment for the Arts). They appear here with the persmission of the author. "Anglo-Americans: all look alike, 29"
That is one of the first lines in the index for No Word for Welcome. I recently reviewed that index, a project by turns frustrating, illuminating, and entertaining. I approached the task with dread, avoiding it for as long as possible. Not because I fear order or laborious detail – even my spice rack is alphabetized – but because it required reading my book Yet Again. As almost any author can tell you, when your book is close to publication, reading the phone book in a viper-filled pit seems more attractive than reading one’s own manuscript one more time. To my surprise and relief, it wasn’t all that bad. Yes, it was strange to see a portion of my brain, and a dozen years of work and experience, plotted out as a list of five hundred and fifty topics. But as I worked my way from Acapulco and American season to Ernesto Zedillo and Zoque, I enjoyed laughing at myself, and delighting in the poetry of simple entries like the one above. The lack of ornament and embellishment of "Anglo-Americans: all look alike" gives it more power than the long passage to which it refers. Some entries offered word-problems, puzzles to solve: How to translate El Día de la Raza? An index’s flat, uninflected presentation, its egalitarianism, struck me as both humorous and elegant. Joke and metaphor, deep theme and small quirk, are all laid out with equal emphasis. A brief explanation of how istmeños refer to "regular time" and "Daylight Savings Time" (imposed throughout Mexico by former president Ernesto Zedillo, but ignored in the countryside) is on a level playing field with my realization that the istmeños’ sense of how time passes matches my own lifelong experience: it’s not a line, it’s a spiral. As for Día de la Raza, I ended up choosing Kathleen Alcalá’s suggestion: "Day of the People." An incomplete translation, to be sure, but if a reader wants the full story, she’ll have to read the whole book. = (four days each week bedridden) + (two months’ longer lifespan). Mom taught middle-school math; knows better.